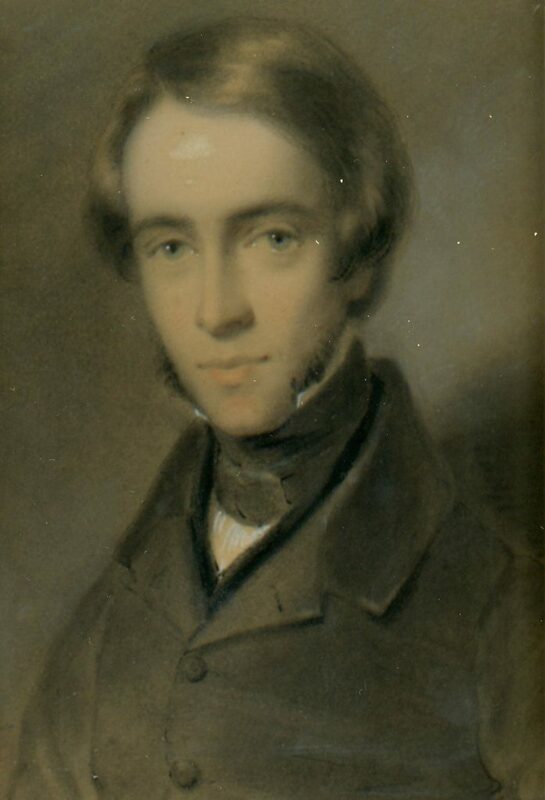 This head and shoulders watercolour depicts a young gentleman with a high brow, twinkling eyes and fashionable side-whiskers. 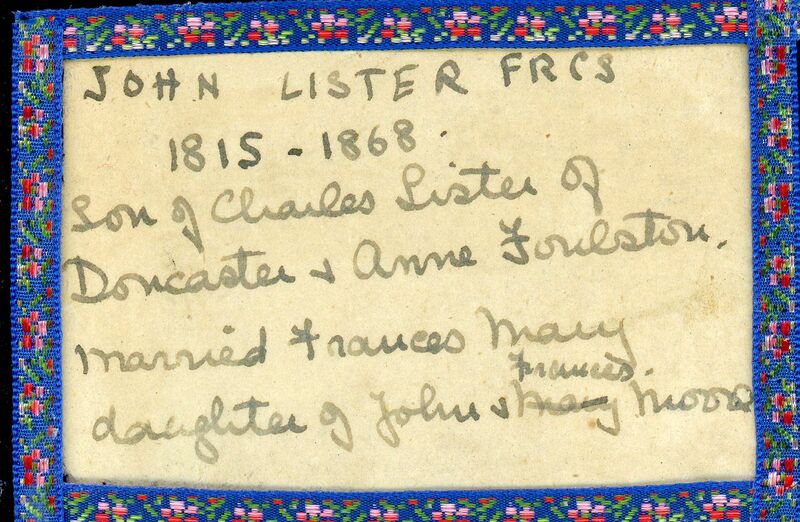 Wearing a buttoned-up coat, black waistcoat and black stock, he is named on an inscription to the reverse as John Lister FRCS. 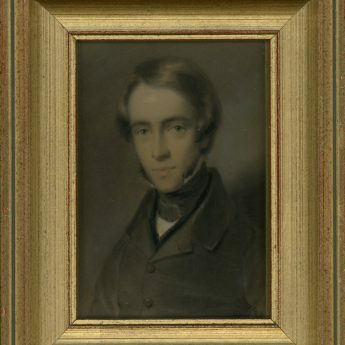 Born in 1816 to Charles and Anne Lister, John trained at the Leeds School of Medicine, University College London, and in Paris. 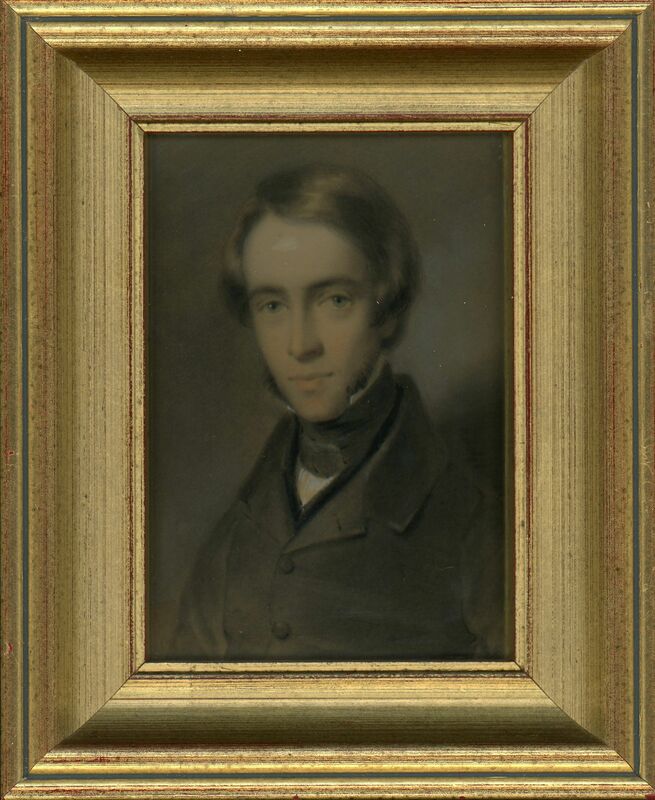 He practised as a doctor for almost forty years in his native Doncaster. He was also Consulting Surgeon to the Doncaster Infirmary and Dispensary and Surgeon to the Yorkshire Institution for the Deaf and Dumb Poor established in 1829. In 1852 he was appointed surgeon to the 3rd West York Militia. 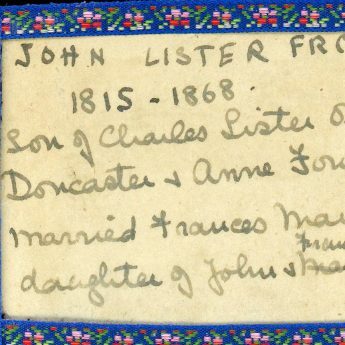 He married Frances Mary Moore and died suddenly at home in Doncaster on 1st March 1879. The portrait is housed in a modern giltwood frame backed with velvet with a colourful braid edging framing the inscription.